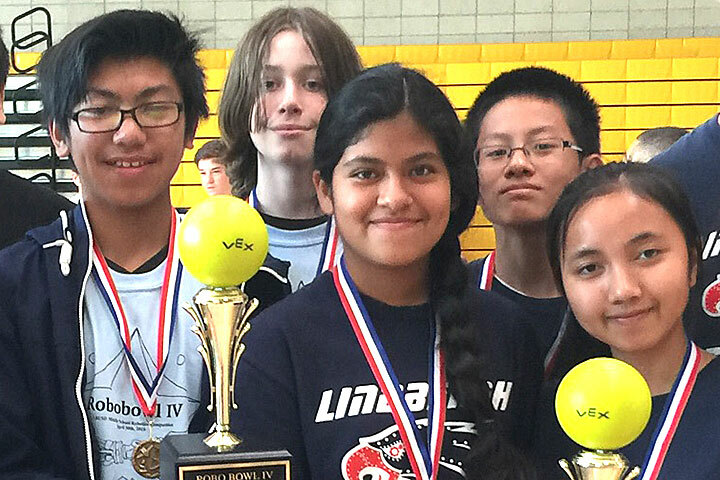 North Long Beach’s Lindbergh Science, Technology, Engineering and Mathematics Academy captured its fourth consecutive RoboBowl title last Saturday at McBride High School, where students from local middle schools learned about science, math, engineering and technology while showing off their robotics projects. Teams from Lindbergh won first and second place, while Hughes Middle School placed third. Lindbergh Middle School became the Lindbergh STEM Academy after the Long Beach Unified School District Board of Education approved the new program in 2014. The school serves as a pathway for students interested in careers in the sciences. Lindbergh’s first place team members were Jason Lam, Daniel Venegas, Robert Ea, Wilson Lam, Sonny San and Anthony Lewis. 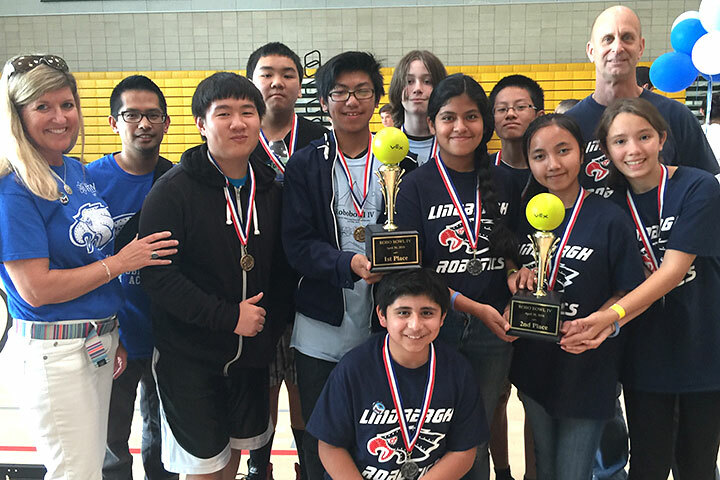 ROBOTICS CHAMPS – Student teams from the Lindbergh Science, Technology, Engineering and Mathematics Academy earned first and second place at the Long Beach Unified School District's annual RoboBowl, a robotics competition held in partnership with Leadership Long Beach. Joining the students in the large version of this photo is Lindbergh Principal Connie Magee and robotics coordinator Fred Dizon, both at left, and co-robotics teacher Sunny Martens, right.